Valentino's classic range of fragrances for men and women continue to be successful and a statement of enduring femininity and masculinity. Valentino is synonymous with opulence, extravagance, and drama. Since 1960, Valentino Garavani's couture label made its mark early with intricately detailed, luxurious gowns and tastefully body-conscious silhouettes. This groundbreaking designer even perfected his own shade of Red, called Valentino Red. In 1968 he introduced the groundbreaking White collection as well as the now-iconic V label, which still endures today. Thanks in part to the entrepreneurial skill of Giancarlo Giammetti, Valentino's longtime business partner, the brand is still the choice amongst European royalty, American socialites, and celebrities. Though his new creations get a great deal of attention, and requests, especially around red-carpet time, his vintage dresses continue to command attention. Valentino Donna, a hint of elegance, fragility, irreverence, and candor. Sensuous and independent she is capable of sudden passion and unexpected shyness. Valentino Valentina is composed of intoxicating jasmine is wrapped with sensual notes of white truffle. 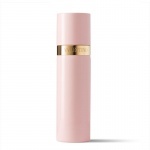 Valentino Uomo Refreshing Deodorant Spray has been created for you to refresh, fragrance and deodorise. Valentino Uomo Refreshing Deodorant Spray is an aromatic smooth leathery fragranced deodorant spray for men. 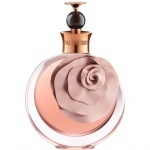 Valentino Donna Acqua is a beautiful light and almost edible fragrance that combines grace, lightness and opulence. It is beautiful new addition to the Valentino Collection. A meltingly fluid texture provides comfort and freshness. Protected and moisturised, the skin is supple and firm, wrapped in a delightfully scented veil. Valentino Uomo Acqua is a contemporary exploration of freshness and intensity. It is an invigorating aromatic fragrance, freshened by citrus and powdery iris and enriched by oriental tones. The beauty ritual according to Valentino Donna starts with the Shower Gel. Its delicately rosy, transparently silky texture metamorphoses into a subtly scented, airily creamy foam. A scent that’s as beautifully decadent as the bottle it’s presented in, Valentina by Valentino is destined to add a luxurious touch to your fragrance collection. Valentino Uomo Regenerating After-Shave Balm is an aromatic smooth leathery fragranced balm. A more sensual, seductive, and sophisticated interpretation of Valentina in a precious intimate atmosphere Valentina Assoluto stands for a modern heiress who knows how to play with her sensual aura. This veil of freshness provides all-day protection, discreetly revealing the sensually refined accords of this fragrance of a luminous femininity.